With apologies to the other great professional leagues, there is no playoff system in professional sports as thrilling as the National Hockey League’s Stanley Cup Playoffs. Hopeful teams face a long, tough schedule of hard-hitting hockey, and the chaos includes just the right amount of surprises and upsets. Nobody knows what’s next for the two-time defending champion Pittsburgh Penguins, the upstart Las Vegas Golden Knights, the always-threatening Washington Capitals, or any of the other worthy playoff contenders. Going into this year’s playoffs – which start April 11th - only one thing is sure: it’s going to be a very memorable few weeks. This sort of hockey action is almost enough to make you consider getting cable again. But there’s no need for that. 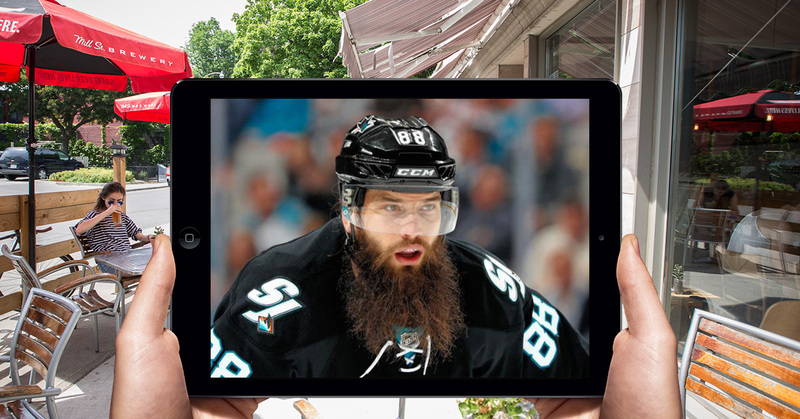 You can watch a huge chunk of this year’s NHL playoff action for free with an Over-the-Air TV antenna. And with the help of a Tablo OTA DVR, you can also record that content to watch later or stream the games live, anytime and anywhere. In the United States, the NBC family of networks again has the rights to the NHL playoffs this year. That means the playoff action you crave is going to be happening primarily on two channels: NBC and NBCSN. NBC will air the biggest games of the Stanley Cup playoffs on their flagship channel, NBC. And NBC is a broadcast channel, which means it’s available free with an antenna. Unfortunately, NBCSN is not available Over-the-Air. Cord cutters who want to watch games live will have to turn to a streaming service to do so, but unlike a cable subscription, streaming TV is cheaper and doesn't require any contracts. Check out a full schedule on NHL.com. Not sure what cord cutting tools you need to watch the NHL Stanley Cup Playoffs for free? Never fear: over at my internet home, Cordcutting.com, we’ve written extensively on OTA TV. How far away is the broadcast tower? You can figure this out with an online signal locator tool like this one from Tablo. Just enter your address or zip code and find NBC (or CBC) on the list. While you’re at it, check out all of the other great channels you can get free with a TV antenna! If you’re nearby, an indoor antenna will do the trick. Those living further away from local broadcast towers should look at outdoor, or attic mount TV antenna options. However, any commercial antenna will be compatible with a Tablo OTA DVR. Tablo is a fantastic DVR for Over-the-Air TV. With its free app (available on tons of different viewing devices), you can easily record and play back live TV from your antenna. You can also use the app to stream OTA TV when you’re away from home. None of that is possible when you plug an antenna directly into a TV, so if you want to watch a game on-the-go or through your favorite streaming box, Tablo is the way to go. With all of that taken care of, all that’s left is to enjoy the games!